Food waste disposal experts ORCA is expanding its reach of food processing machines in the UK. The ORCA machine uses aerobic digestion to break down solid organics into wastewater which can then be safely put into the municipal sewage system. 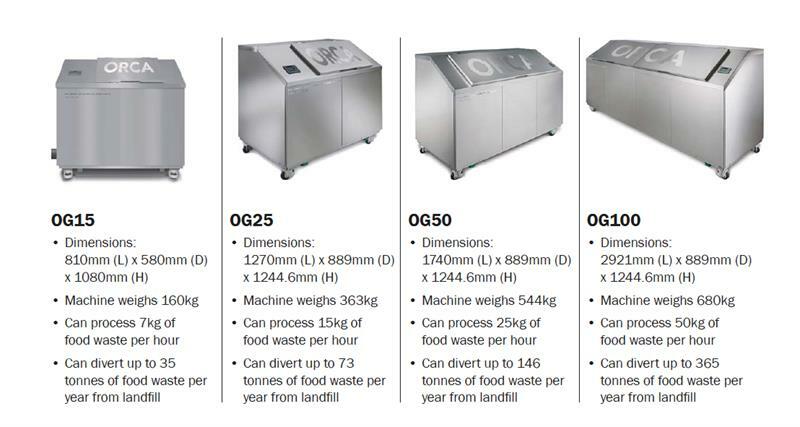 Its heavy duty machines come in four sizes dependent on how much food waste is generated and how many hours a day staff will be supplying the machine. The technology creates cost savings for customers while diverting food waste disposal from landfills and reducing methane gas production. The higher frequency of feeding, the greater yield of digestion over a 24 hour period.